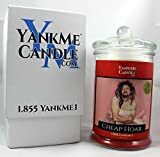 The cool new YankMe Candle may look like one of those normal scented candles in a glass jar, but upon closer inspection has a lovely picture of a dog heaving and a label describing the scent as Dog Vomit. 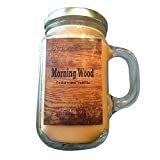 Even when opening the lid, this 100% soy candle contains a scented disc inside that smells horrible, but the candle underneath thankfully smells like Magical Mimosa instead of canine puke. 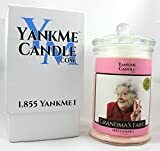 This spoof candle makes a perfect gag gift, housewarming gift, or white elephant gift or just proudly display it in your home and see if anyone notices. Best of all, 50% of all profits go directly to animal shelters.